I have entirely too much fun on River City Live! 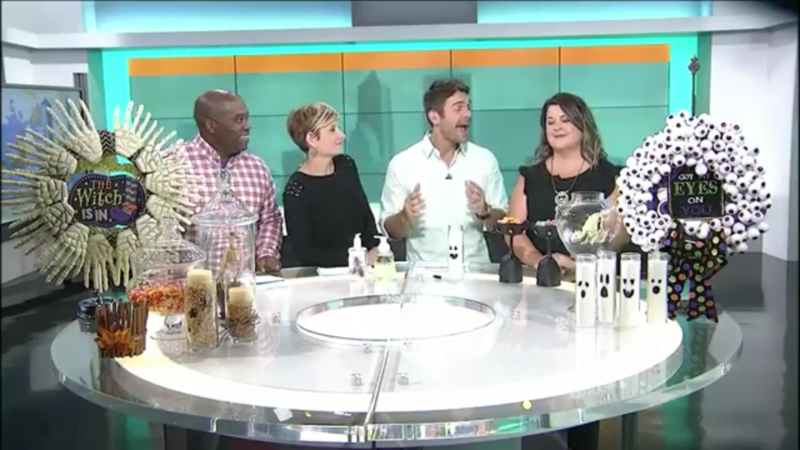 I went on the show on my 40th Birthday (10/10) to talk about Halloween decorations made only from Dollar Store items. I was so impressed when I realized how many awesome, unique and fun things can be found for only a dollar! Armed with my truly glue gun and a head full of ideas, I made my way to the news studio to share my ideas with Mark, Rance and Eden. Check it out! Next Y’all got any of those Essential Oils? !